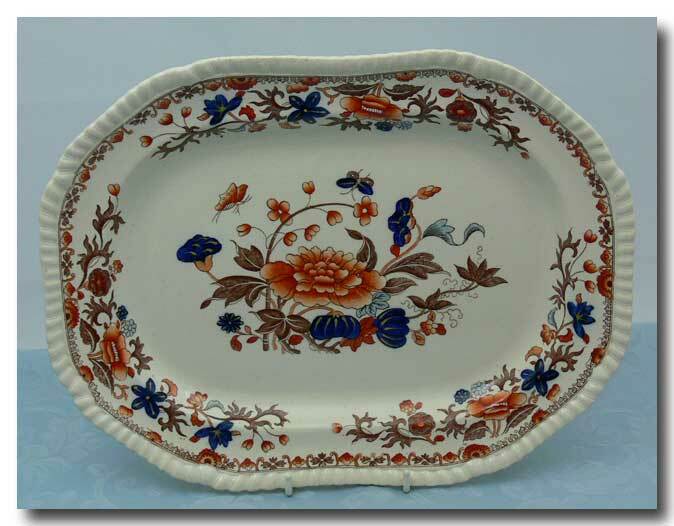 This lovely, smaller size platter was made by Copeland Spode in the “Bang Up” pattern # “2/4074”. Features butterflies & flowers in strong colours of cobalt blue, light blue, rusty-orange & brown on a white ground. 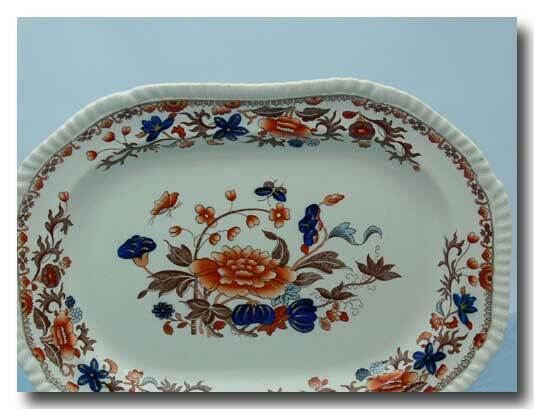 The pattern combines an underglaze transfer pattern with overglaze hand-painted cobalt blue areas with mustard-coloured accents. The border is wavy-edged & gadrooned. 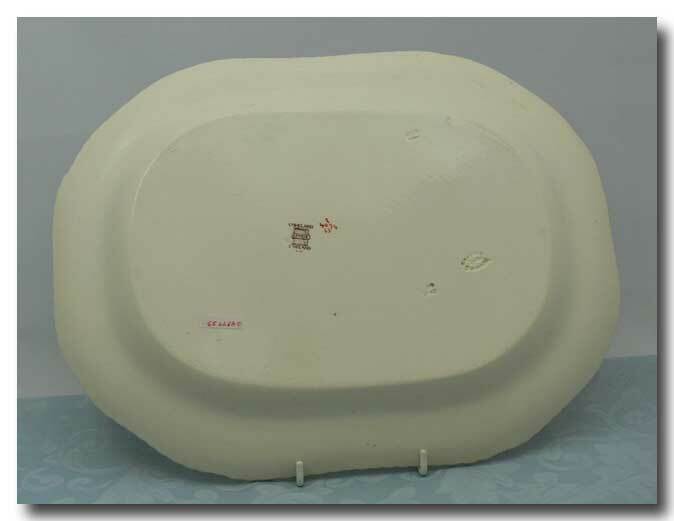 There are some very fine utensil marks in the centre pattern but the overall condition is great with no chips, cracks or crazing. 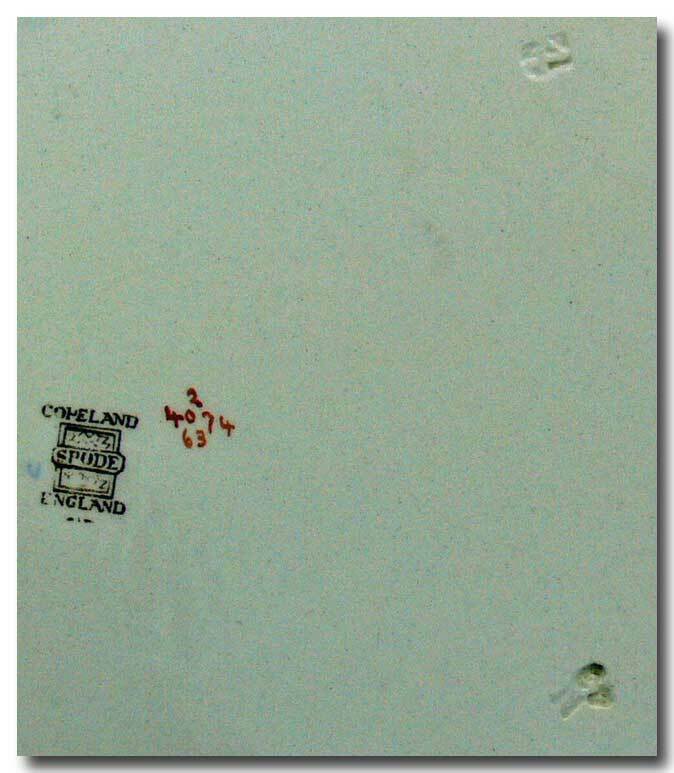 The underside bears a printed mark for “Copeland/Spode/England” and these words also appear as an impressed mark. There are 2 other impressed marks: “N/48” and “N/12”. Finally there is the pattern no., as above, written in red. Approx. size in inches 13 x 10. Early 20th century.